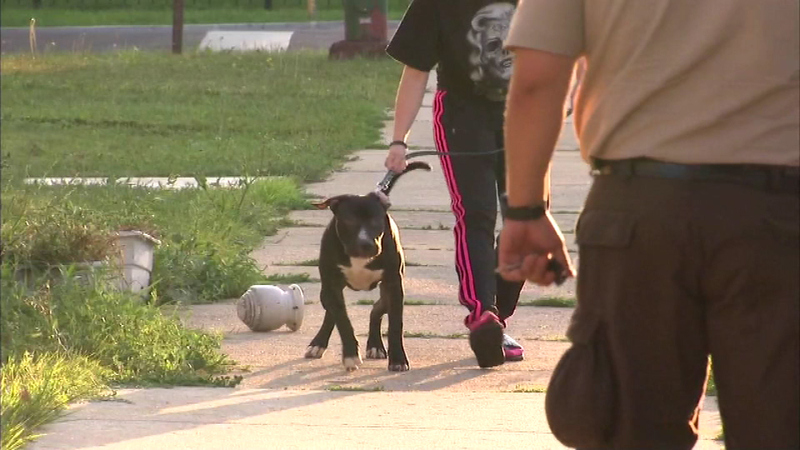 Animal control officers took two adult pit bulls from the Jefferson Park home as well as several puppies and a number of rabbits. CHICAGO (WLS) -- A call about a domestic dispute ends with police removing several animals from a Northwest Side home. Police said they found the animals living in unsanitary conditions when they arrived at the home on the 5300-block of W. Foster Ave in Jefferson Park. Animal control officers took two adult pit bulls from the home as well as several puppies and a number of rabbits.